Cummins Distribution Headquarters is a 5-acre corporate campus located in the heart of downtown Indianapolis. The striking facility includes a 9-story tower, parking garage, retail space, and urban park. A 19,000-square-foot Omni Green Roof canopy caps the campus’ parking garage and softens the view for Cummins employees and downtown residents. 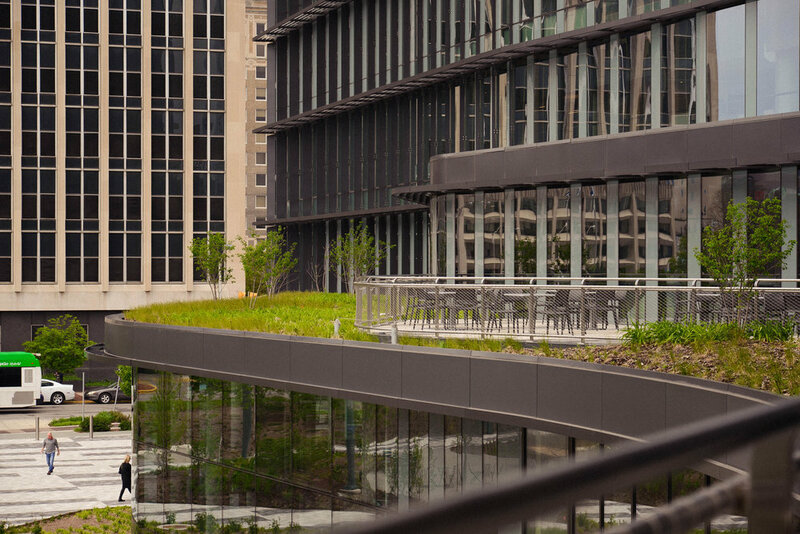 Another 3,800-square-foot Omni Green Roof with trees, grasses, and perennials surrounds the outdoor terrace, bringing the ground-plane landscaping onto the building. 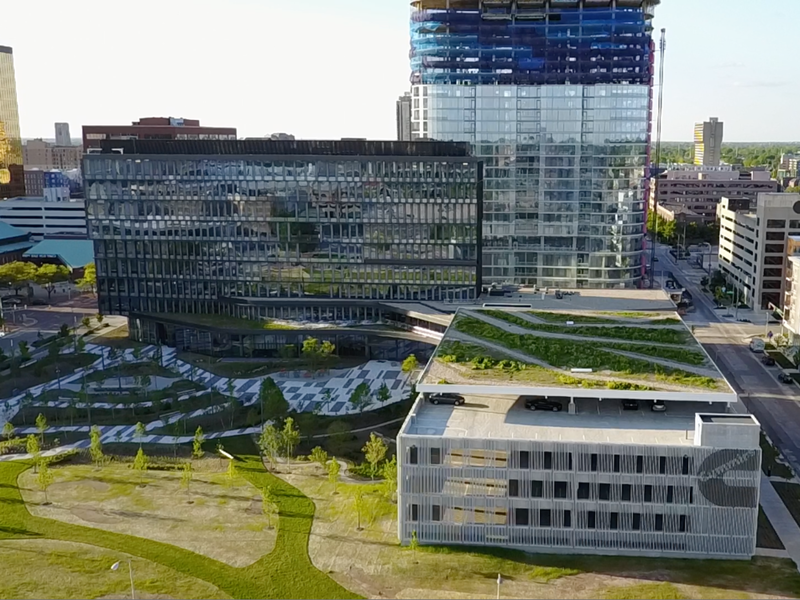 Totaling 22,800 square feet, Cummins’ Omni Green Roof is the second largest green roof in Indianapolis.